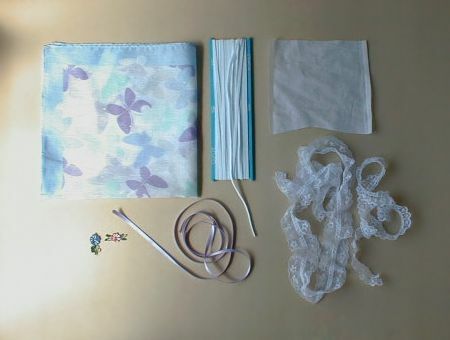 Hanty is handmade underwear of handkerchief. A handkerchief (over 42 centimeter square). Thin cotton cloth (I use lawn) as lining. Sewing machine, Lock stitch machine if you have. 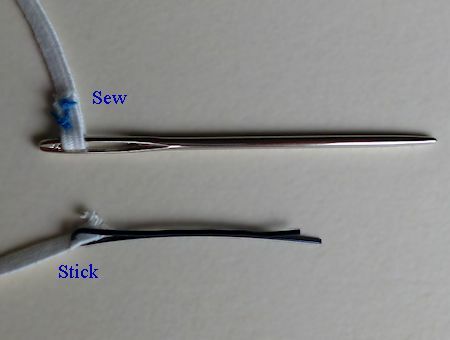 When passing elastic through, it's better to use thick needle or hair pin than ready-made tool. Pattern 1 Front and crotch. 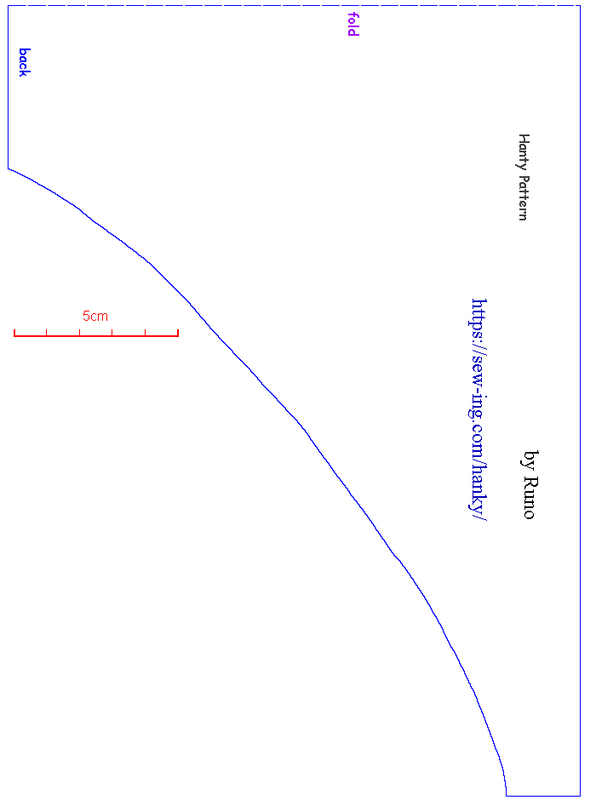 The size of hips is about 90 centimeters. If you want to enlarge, refer to "Enlarge size".